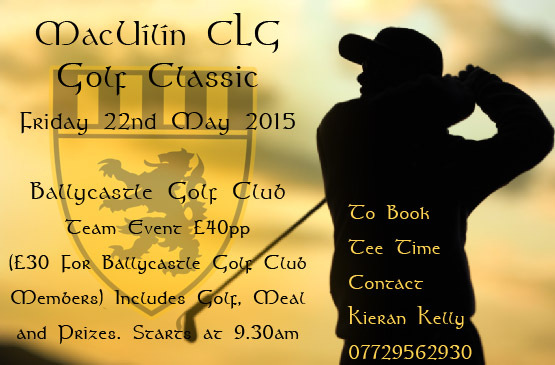 The MacUílín CLG Golf Classic will take place on Friday 22 May with at 9.30am start. Contact Kieran Kelly on 07729562930 to book tee time or sponsor a tee/green. Team Event £40 per person (£30 for Ballycastle Golf Club members) including meal and prizes.